A new survey from the NPD Group suggests that the Apple iPod is no longer "the gateway device" that is the first Apple product purchased in a series of devices that leads to an addiction to Apple devices. That dubious honor now belongs to the Apple iPad. About a quarter of current Apple iPad owners say that the tablet is the first Apple product that they have ever purchased. According to NPD's Ben Arnold, "iPad sales are growing much faster than any other Apple product has this soon after launch. In fact, one-in-five Apple owner households has one — nearly equivalent to the number that own an Apple computer." Tim Cook put the amazing sales figures of the Apple iPad into perspective when he noted that in the two years after it started selling the iPad, Apple has shipped 67 million units of the tablet. It took the Cupertino based firm 24 years to sell that many Macs, 5 years to reach that mark with the iPod and 3 years with the iPhone and Apple had been happy with the sales growth in all three cases. 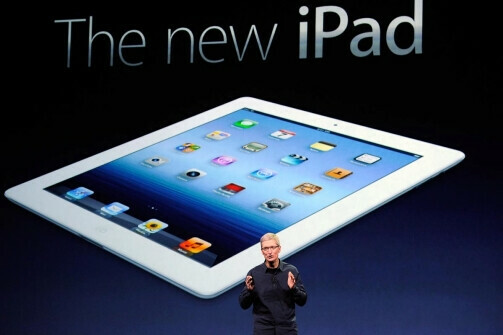 NPD says that one out of every three U.S. households, or 37 million, currently own an Apple device. That is lower than an earlier poll conducted by Hart Research Associates for CNBC. The results of that poll showed that 55 million U.S. households, nearly half of all households in the U.S., own an Apple device. 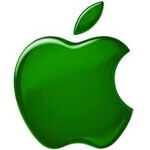 Of those households devoid of an Apple device, one in ten plan on purchasing an Apple product sometime in the next year. Hmmm I won a iPad 3 online and had it for two weeks. Right now it's on eBay. I don't plan on buying any Apple products. You call BS on the fact that I won it or that I didn't care for it? Believe me I had a hard time believing that I won it also. I must have read the email like 10 times thinking it was a scam lol. Don't get me wrong its fast and the screen is amazing, but I just don't have any use for it. I had an iPhone before I got an Android device and I always told people that iOS was easier to use than Android. However after using the iPad for a while, I really miss the back button on Android. I now believe Android is the easier OS. wait so your getting rid of an Ipad 3 because it didn't have a back button? No. Not at all. Just kinda missed it. Not the reason I'm selling it. Just don't have a need for it. I have a laptop and an Android phone. It can't replace my laptop. An Android tablet would have more potential for replacing a laptop. Plus I could use some extra cash for college. I just really dislike the inconsistency with iOS. Sometimes the back button is on the bottom right, sometimes it's in the top right and so on. With Android it's always in the same place. Gotcha. I know what you mean about how its hard to justify getting a Ipad replacing a laptop, especially because its hard to find a good keyboard dock, and if you're going to college soon,you would more than likely need flash support. I myself am about to buy the Asus TF300, because i think it comes as close to replacing a laptop as any other, especially with the mobile dock you can get with it, and i plan on getting an optical drive with it. Yeah I agree about flash and the keyboard. You can get an optical drive for it? I didn't know that. Really that was the only reason I was not getting a android tablet to replace my PC. I can't stand the back button on my android devices. You can never tell if its going to close the app, or go to a previous screen. I have no use for a button when there is no way to tell what it will do. It goes to the previous screen. So if the previous screen was your home screen, then it exits the app and takes you to your home screen. After having the 3gs a few years ago and owning the iPad 3 now, nothing seems different. It's just like my old iPhone except on a big HD screen. iOS still has the same bland look and feel. I know what you mean. I had a color TV 30 years ago, and got a color flat panel last month. It all looks the same - same old crappy sitcoms. Why bother even getting a TV. lol When you come down to it, all smart phones look almost the same. The differences are negligible. As long as they don't crash all the time like my Droid X2. I played with an iPad 3, its like an ipad 2..... with a sharper screen, same icons, same grid, same interface, same same same. God iOS is getting REALLY OLD, I was going to buy an iPad 3 but I got my hands on an Archos G9 101 tablet, came with ICS, now THAT is a thing of beauty!, Dual core A9 processor @ 1.5 Ghz, it has great oomph. The hardware is not as polished, but shes built pretty sleek slim and light. Who are you trying to convince? Us or yourself? Same tired arguments. Dual core 1.5? You don't say? Guess what no one cares about that tablet. I care about that tablet....so it looks like you're wrong. Can a person not post their opinion? What if I followed android articles around and constantly posted my "opinion"? You don't like Apple. We get it. Quit reading their articles then. Oh, I like Apple, I LOVE my 4th gen 64Gb iPod Touch, but it is time for Apple to shake it up, it is getting stale. And I paid more for that iPod Touch than I did for that Archos tablet. So I didn't really care if the tablet sucked or not, but it has been pretty impressive for something so affordable. I was considering going Apple after a negative experience with my old computer, but a buddy of mine brought me back to the light. He hooked me up with an old Dell workstation DUAL QUAD CORE XEONS (8 cores) for $350, and it'll whoop an i7. He said he liked Macs (he even has a NEXT computer if you know what that is) but he says it is too much money for not enough hardware. Same tired argument? This coming from the guy who's only arguments for iOS Vs Android is "iOS came first" & "Sheeps are richer and smarter than fandroids." iOS from 2007 to today is night and day. Only thing the same is the grid of icons. Great designs stand the test of time. That "grid of icons" is all there is to iOS, so yeah, it hasn't changed much. yea cause it has zero functionality and just has icons right? I'm sorry, I didn't say anything about "zero functionality" you did, I feel iOS can do a lot of the things Android can do, but you have to select the apps to do it, with widgets on android they are just there, but the functionality is there on iOS, I thought you were an apple fanboy? Widgets have to be opened as well to use the app. Not all, and you don't haved to open the app if the information you are looking for is already being displayed. I must be immune to APPLE products's radiation as I have them all in my home, and I still find my Android phone far more useful than the iphones. The Asus Quad core or Samsung Tablet appeals far more to me. I do like the son's ipod, but, again, my phone does all of that and more.